Club foot. Scoliosis. Pigeon toes. The images of impoverished Vietnamese children suffering from these disorders--all easily corrected by surgery in the U.S.--are forever seared in Harry Mai’s brain. The 26-year-old visited Vietnam dozens of times as a child and possesses a strong connection to its most vulnerable citizens. He credits his father, Hong, for both. Harry’s grandfather was a South Vietnamese leader who was executed by the Viet Kong during the Vietnam War. To disguise his identity, Harry’s father, only 2 when his father died, was raised in Vietnam as an orphan and bounced from home to home—an experience he never forgot. Now a successful pediatrician serving low-income patients in Long Beach, Dr. Hong Mai supports an orphanage called Hoa Mai in his home city of Can Tho. Harry has traveled to the orphanage with his family more than 25 times. 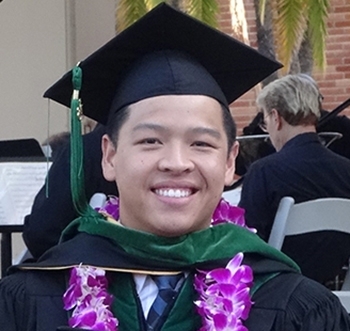 Deeply affected by the sight of his father providing critically needed care to Vietnamese children, Harry chose to pursue a medical career, too, and enrolled in the Charles Drew/UCLA Medical Education Program. Last year, Harry spent a month in Vietnam providing care, including supporting surgery on a 14-year-old orphan with scoliosis. “It was such a great experience to do it in another language and to do something that in the United States we take for granted, but internationally, can turn someone’s life around,” he said. 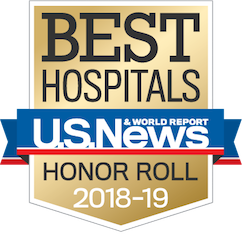 Harry graduated June 3 from the David Geffen School of Medicine at UCLA and will enter a July residency in orthopedic surgery at Harbor-UCLA Medical Center. The match has personal meaning: Harry volunteered at Harbor during high school, and his older brother, Daniel, was born there. Soon the Mai family will boast three doctors: Daniel will graduate from UCLA medical school next year and pursue a career in pediatrics like his dad. Together, the brothers intend to continue their father’s work with medically underserved patients.